The Bulgarian Food Safety Agency is reporting another outbreak of brucellosis in the southwest of the country, according to a Focus Information Agency report Friday. Officials say the outbreak located in the village of Kochan in Blagoevgrad district has affected 22 small farm animals. Authorities have imposed a ban on the movement of the animals within or outside the settlement. All animals that tested positive will be killed. 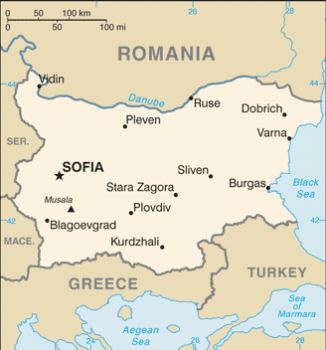 Over the summer, officials reported a brucellosis outbreak that affected humans and animals in the town of Rila, Kyustendil Province, in southwestern Bulgaria. Brucellosis is a contagious disease of animals that also affects humans. The disease is also known as Bang’s Disease. In humans, it’s known as Undulant Fever. Brucellosis is one of the most serious diseases of livestock, considering the damage done by the infection in animals. Decreased milk production, weight loss, loss of young, infertility, and lameness are some of the affects on animals. The Brucella species are named for their primary hosts: Brucella melitensis is found mostly is goats,sheep and camels, B. abortus is a pathogen of cattle, B. suis is found primarily in swine and B. canis is found in dogs. There are two common ways people get infected with brucellosis. First, individuals that work with infected animals that have not been vaccinated against brucellosis. This would include farmers, slaughterhouse workers and veterinarians. They get infected through direct contact or aerosols produced by the infected animal tissue. B. abortus and B. suis are most common. The second way is through ingesting unpasteurized dairy products. This is seen in people who travel to areas of the Middle East or Latin America (B. melitensis) where brucellosis is endemic in ovine ad bovine animals. “When in Rome” is an attitude many foreign travelers take to experience aspects of a foreign culture. Brucellosis is also an occupational hazard to laboratory workers who inappropriately handle specimens or have an accident or spill. Brucella is highly infectious in the aerosolized form. If someone gets infected with Brucella, the incubation period is about 2-3 weeks, though it could be months. Fever, night sweats, severe headache and body aches and other non-specific symptoms may occur. Acute and chronic brucellosis can lead to complications in multiple organ systems. The skeletal, central nervous system, respiratory tract, the liver, heart, gastrointestinal and genitourinary tracts can all be affected. Untreated brucellosis has a fatality rate of 5%.